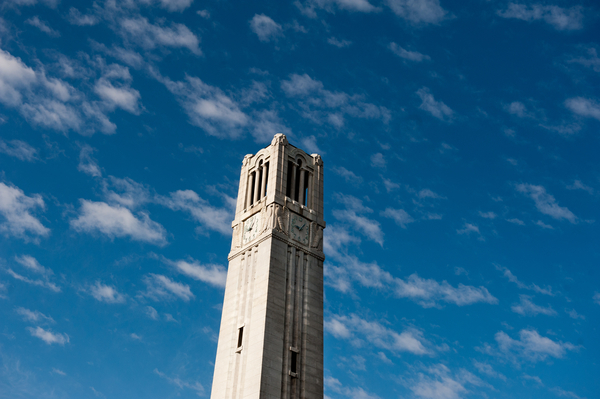 NC State and some individual programs must undergo regular accreditation reviews. The Southern Association of Colleges and Schools Commission on Colleges (SACSCOC) is the accrediting body for degree-granting institutions in the Southeast region of the country. NC State’s accreditation by SACSCOC was reaffirmed last in 2014. Various nationally recognized accrediting organizations oversee program accreditation in a number of disciplinary areas. North Carolina State University is accredited by the Southern Association of Colleges and Schools Commission on Colleges (SACSCOC) to award associate, baccalaureate, master’s and doctoral degrees. Contact the Commission on Colleges at 1866 Southern Lane, Decatur, Georgia 3033-4097 or call 404-679-4500 for questions about the accreditation status of NC State University. The Commission may be contacted only in relation to the University’s compliance with accreditation requirements. Normal inquiries about NC State’s admission requirements, educational programs, and financial aid should be directed to the University. For additional information about accreditation at NC State, contact the university’s Accreditation Liaison. The Southern Association of Colleges and Schools Commission on Colleges (SACSCOC) requires that the university notify it of any substantive changes and seek approval for them prior to implementation. Examples of substantive changes include new degree programs, online offerings, off-campus sites, and joint- or dual-degree programs. NC State’s Substantive Change Review Team reviews all potential substantive changes and recommends appropriate actions to the provost in keeping with SACS policies.